It is three feet by three feet by eight feet-four inches. It has 150 books on its shelves. The single light within is solar-powered. It's open twenty-four hours a day, seven days a week. No librarian is present. It is impossible to get lost in the stacks. 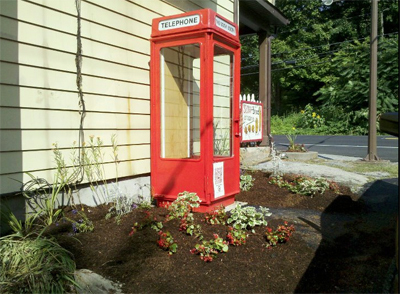 It's a phone booth located in Clinton Corners, NY, the newest branch in the Dutchess County Library system. 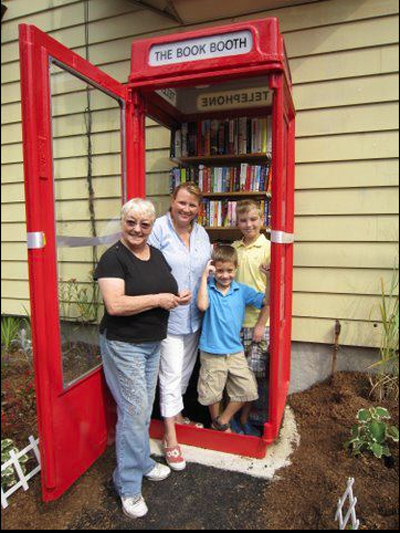 Now the smallest library in the United States, the booth, a vintage 1960s English model that was recycled, restored, and converted, is run through a community book exchange. It's motto is "bring a book, take a book." Claudia Cooley, who came up with the idea, said the book booth has already caught the attention of many. "There's a major curiosity factor," she said. "You know, when you live in the country whenever there's something new to look at, it's very exciting. So the response has been favorable. Again, it gets more books into this part of our town, and like I said, the businesses are excited and that's the main purpose, to build community spirit. I'm really looking forward to unveiling it for the public to use." There is no room for signage; "Silence" and "No Loitering" are a given. As there are no restroom facilities patrons are advised to plan ahead. And, because this is 2011, it is the only phone booth library to have its own Facebook page. Full story with video here. Thanks to American Libraries Direct for the lead. More importantly, this is indeed, a branch of the Clinton Community Library. Although, there is not a Librarian on hand at the physical location, our Library Director is very much hands on. "Friends of Clinton Community Library", of which I am also, have volunteered to keep on eye on the Book Booth, and the actual books. Meaning, to try and keep a little variety as to what's on the shelves and not to have 15 copies of the same title. Thank you very much Mr. Gertz for highlighting us! We hope you come and visit us soon. 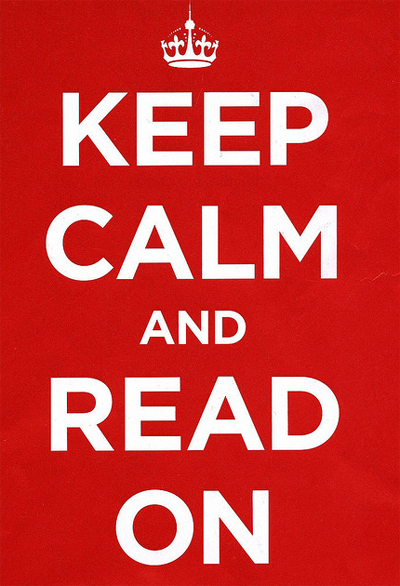 Just remember to bring a book. The Book Booth: An official Readcycling station! I love it! GREAT idea! I want to build one of these in my town now.